Although many dioceses in the U.S. support deserving projects, few enjoy the close, unique, and continuing relationship that the Diocese of Spokane has with the poorest of the poor. Thanks to the leadership of Bishop Bernard Topel in the late 1950s, the Diocese of Spokane entered into an agreement with the Diocese of Sololá in Guatemala, whereby Spokane offered to share spiritual, material, and human resources with the Diocese of Sololá. The Mayan Indians in northern Guatemala are among the most impoverished people in the world. Oppressed by others for hundreds of years, these native peoples have been forced to eke out a living on the slopes of volcanic peaks at the 7,000-12,000 ft. elevation level. Many families live in one-room homes with dirt floors and no water or electricity. With an inadequate food supply, malnutrition and disease are common. We in Spokane provide support in a variety of ways. Fr. Manuel Nicasio, native of the area, replaces Father David Baronti who retired after serving 42 years in Ixtahuacan. Sister Marie Tolle, of the Sisters of Charity, also retired with Sr. Gloria now taking care of the convent, and Fr. Nicasio working with catechists in Ixtahuacan. Other projects we support are pastoral services; such as, religious education, youth program, catechist training, and scholarships in Ixtahuacan. Medical and health issues are served by our support of Dr. José Miguel and the medical program which includes clinics in Nahualá, Novillero, Ixtahuacán, and New Ixtahuacan. The radio station, “Nawal Estereo,” provides educational and religious outreach to over 1.1 million people. Our support also extends to the Catholic school and pastoral work in Nahuala, Our Lady of the Highway Preschool, and the Minor Seminary in Solola. Ongoing prayer and financial support are vital to the lives and welfare of these people. They are very grateful and thankful for support from Spokane and they pray for God’s blessings for everyone! Thanks to funds sent from the people of the Catholic Diocese of Spokane and the hard work of many people in Ixtahuacan, phase one stabilization of the religious education building in the parish of Santa Catarina in Ixtahuacan has been completed. Father Manuel Nicasio and the catechists of the church send their sincere gratitude and ask God to bless all benefactors. As a blessed parish of the Spokane Diocese, we have been able to meet many needs of the Diocese of Solola, Guatemala. The mission of the Guatemala Mission Committee of Our Lady of Fatima Parish (GMC) is education of the indigenous Mayan people. What can we do to enable and encourage natives of Guatemala to live healthy, fulfilled and spiritual lives in their communities in the Guatemala Highlands? 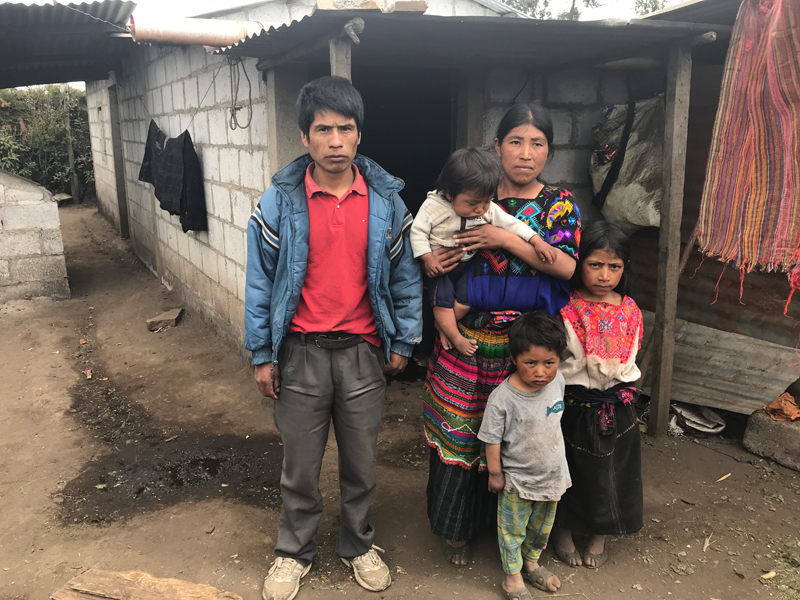 St. Joseph Parish, Colbert has found that supporting our diocesan missionary efforts in Guatemala is one answer: helping those in most need.